According to a DeKalb County police incident report, Angie Stone said Diamond Stone hit her in the face with closed fists first. Diamond Stone and Blondy Chisolm, a family friend who witnessed the Monday night altercation, told police they were not sure who threw the first blow. Diamond Stone’s version of the story is different. 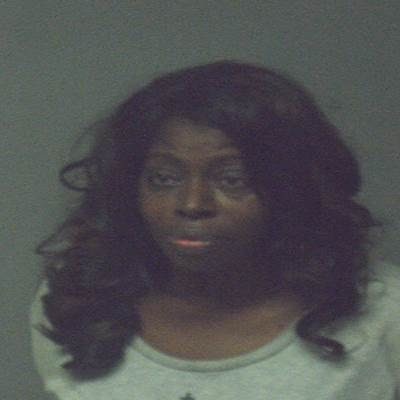 According to the report, she walked away after Angie Stone struck her in the face with the metal stand and called police. Both women were taken to DeKalb County Police Department headquarters for questioning. Diamond Stone was released with no charges. Stone is being held in the DeKalb County Jail on a charge of domestic aggravated assault. On season 3 of “R&B Divas,” Angie opened up about about her strained relationship with Diamond, who she says has real hurt based on a lot of disappointments from her choosing to put her career over motherhood. I was a young mother and I left high school to pursue music on SHEER DETERMINATION. I quit school to do this. I missed college to do this and I would NEVER let her make those same choices. I wish I could go back and do prom and college but I can’t. As a mom, I’ve seen her off to college and been able to provide for her. I don’t regret ANY of that however, I can’t erase the anger she feels. Diamond feels like I “jumped ship” on her but that was not the case. As a mom, I have protected my child and done the best I could do. She has real hurt based on a lot of disappointments because I missed a lot and I can’t knock her for that! But now she has a child and works a job and is getting into the music business as a diva-in-training and I think she finally gets it!!!! She’s sassy and she speaks her mind for sure!!! I have tried my best to love the hurt away and it’s just not easy. I received my BEST motherly advice from my very own daughter, Diamond. She gave me a penny with a hole in it carved out of a heart and it said “DON’T BE SO BUSY MAKING A LIVING THAT YOU FORGET TO MAKE A LIFE.” That is so profound and so true!!!! I’ve missed her prom and plenty of band-aid moments because of my career but I get my grandchildren now. These days we are closer than ever! Diamond has moved to ATL so we are able to spend more time together. I can clearly see a brighter future for her. She definitely has my attention!